Want to be notified of new releases in bmichotte/HSTracker? Pull request Compare This branch is 1 commit ahead, 281 commits behind HearthSim:master. 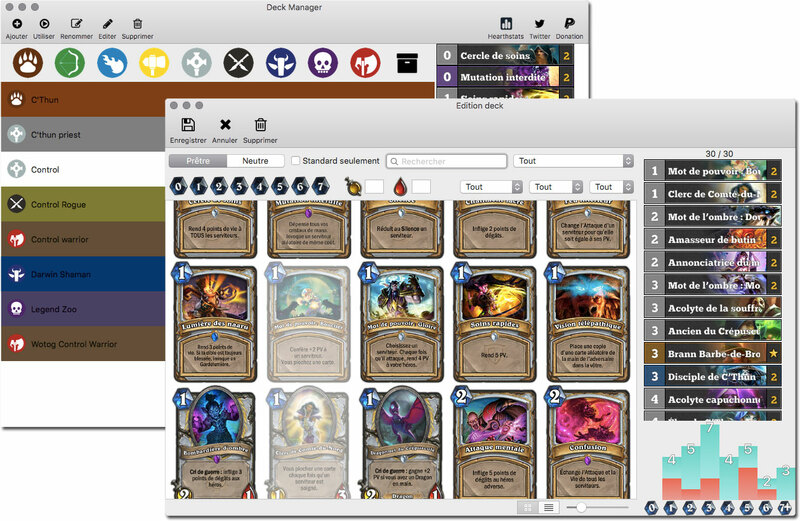 HSTracker is a Hearthstone deck tracker for macOS 10.10+. HearthSim: HSTracker is a HearthSim project. Come join us in #hearthsim on chat.freenode.net. 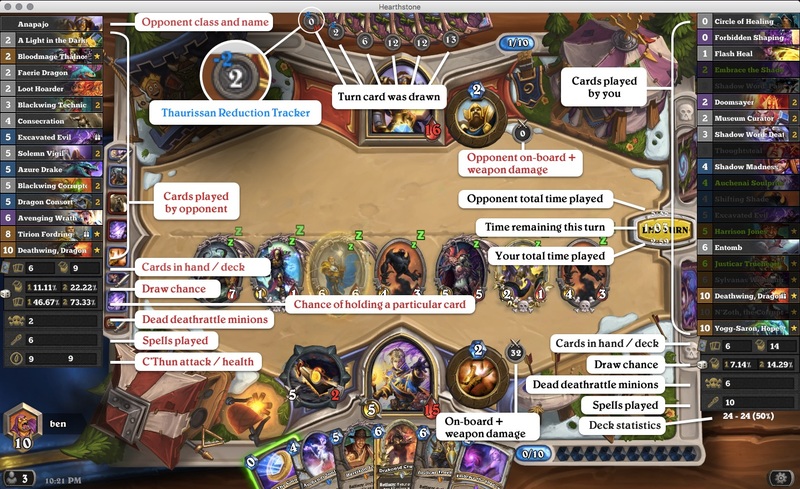 Launch (make sure Hearthstone is not running when you first launch HSTracker) ! Clone the code. Make a fork on github! If you run into code signing errors, go to the "Build Settings" and change the signing enitity and certificate to your profile. HSTracker must be code signed in order to function properly. HSTracker is released under the MIT license.